Plumbing/Heating Contracting. We provide consultations and complete plumbing and heating design assistance for every type of project — from new construction and additions to repairing or reconfiguring existing systems. Dubben’s is a certified propane (LP) gas equipment installer and supplier. We also offer 24-hour emergency service provided by our experienced, trained technicians. We sell and install high-efficiency LP gas space heating units that provide a perfect combination of comfort and economy. 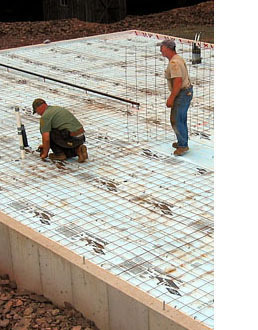 Dubben’s technicians are certified in the installation of Uponor radiant heating systems. Formerly known as Wirsbo, Uponor, has long been a leader in providing dependable, comfortable heat for residential and commercial properties. Dubben’s also designs and installs complete cooling systems. Our custom cooling systems ensure indoor comfort even during the warmest, most humid summer days.